SRAM's Rival group might get pushed around by its lighter, more popular older siblings from time to time, but that doesn't mean it doesn't come from the same family. Sure, it weights a little more, but performance wise, it has SRAM's legendary efficiency built into its DNA. The SRAM Rival 22 Braze On Front Derailleur utilizes SRAM's Yaw cage, which rotates in line with the chain, improving shifting speed and precision and eliminating the need for shifter trim. The SRAM Rival 22's integrated chain spotter protects your frame and installs and adjusts independently of the derailleur itself. Precision alignment markings on the cage make setup and adjustment as simple and precise as possible. 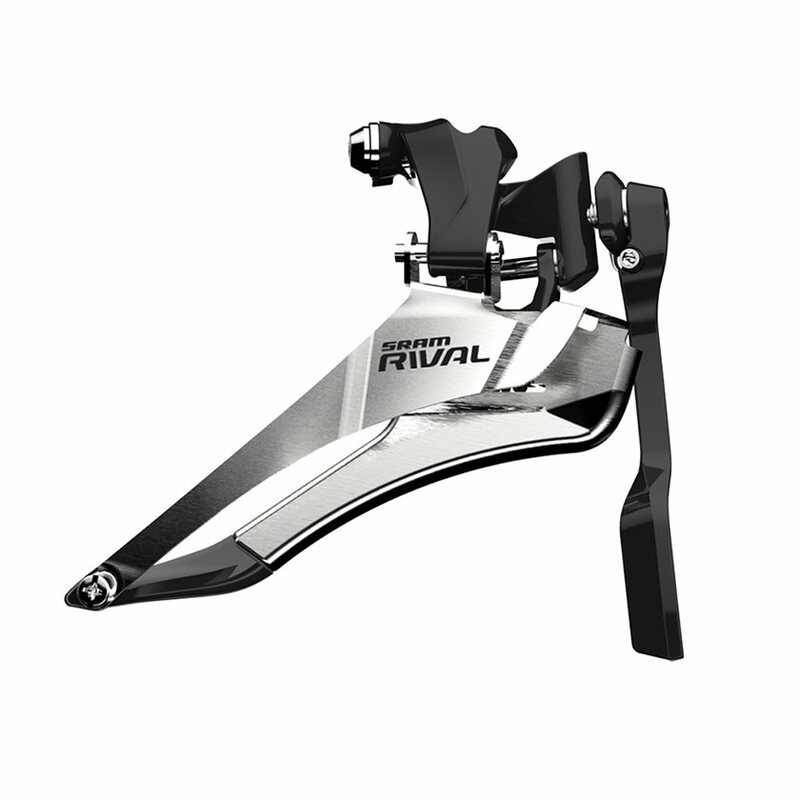 Accurate shifting, precision construction, you can't go wrong with the SRAM Rival 22 Braze On Front Derailleur.